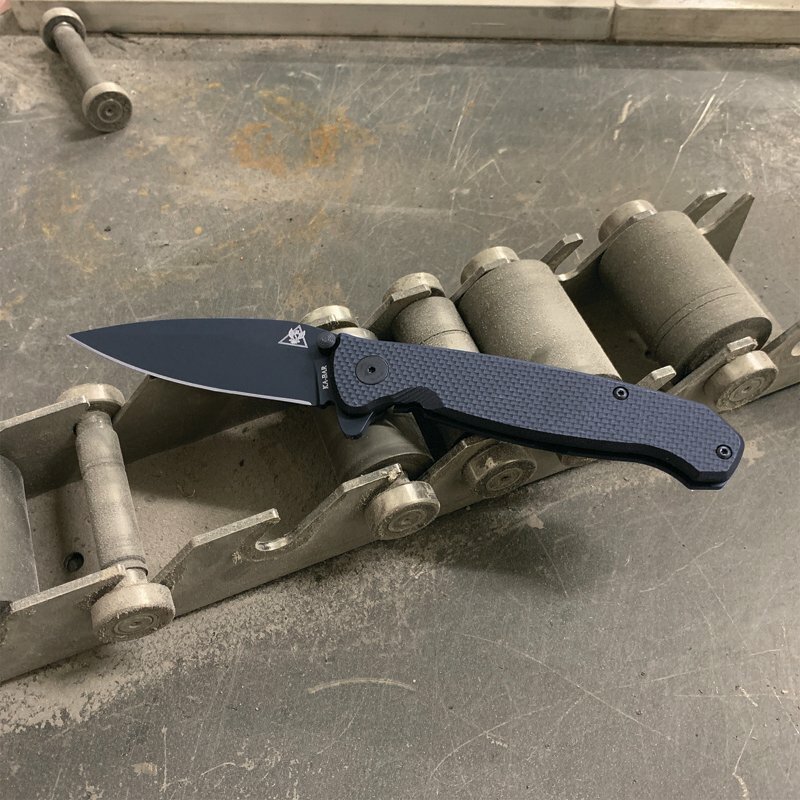 We’re still going through some of the new knives for 2019. KA-BAR is one of those companies that releases knives throughout the year, such as the later releases of the Jarosz Flippers last year. But, KA-BAR recently pinpointed which knives it considers part of its 2019 lineup at SHOT Show. There are only a handful of models, but I expect the company to release more in the future. The biggest new release is the KA-BAR Becker Kephart. This one was actually announced in October 2018 with limited quantities available the following months, but it wasn’t widely available until January. It’s always great to get a new knife in the Becker series, which is probably the best series out of KA-BAR — besides the classic fighting knife lineup. What’s interesting is that the Kephart is based on an existing design. Noted outdoorsman Horace Kephart designed the knife in the late 19th century and early 20th century. There are a lot of Kephart-style knives out there, but Ethan Becker has a special bond to the knife. The full details about Kephart and Becker are extolled in a recent Knife Magazine article, but essentially Becker obtained an original Kephart knife and even handled Kephart’s personal knife that now resides at a museum. 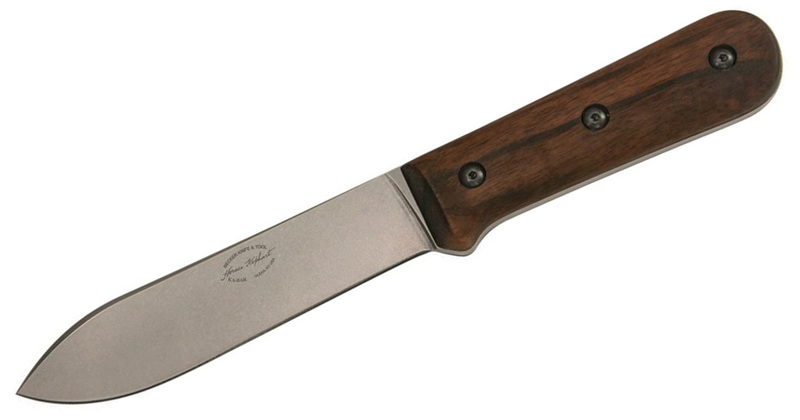 The knife itself has a 5.125-inch 1095 Cro Van blade, walnut handle, and sheath. I can see this quickly becoming a popular knife from the Becker line. The TDI or Tactical Defense Institute line from KA-BAR and John Benner is another popular series. The line gets its first flipper in the KA-BAR TDI Flipper Folder. After the Mark 98 Flipper, the brand has been dabbling in other flippers. KA-BAR has been doing pretty well in the folding knife category with knives like the Dozier Folding Hunter and Jarosz folders. 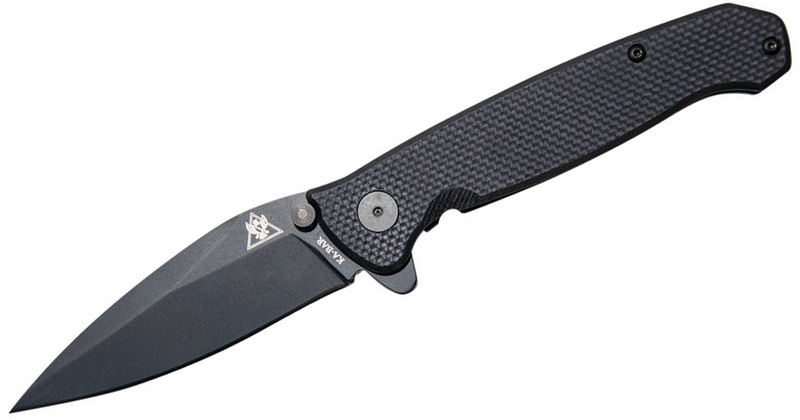 This knife has a 3.5-inch AUS 8A steel blade and G-10 scale on one side of the handle. The Mark 98 was panned, but I’m curious to see how this is done. 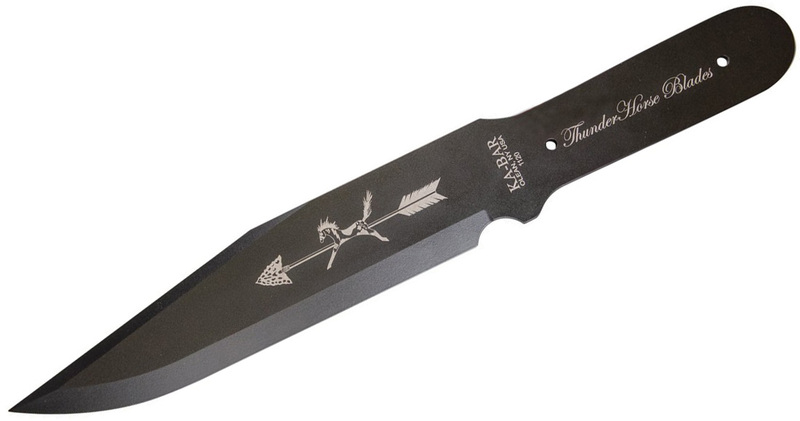 Designed by International Knife Throwers Hall of Fame member KJ Jones of ThunderHorse Blades Handmade Custom Knives, the ThunderHorse Thrower is a large throwing knife. I believe it’s the first real thrower from the brand. It’s not the typical smaller thrower that usually comes in a set of three. This is 15.625 inches of 1095 Cro Van steel. 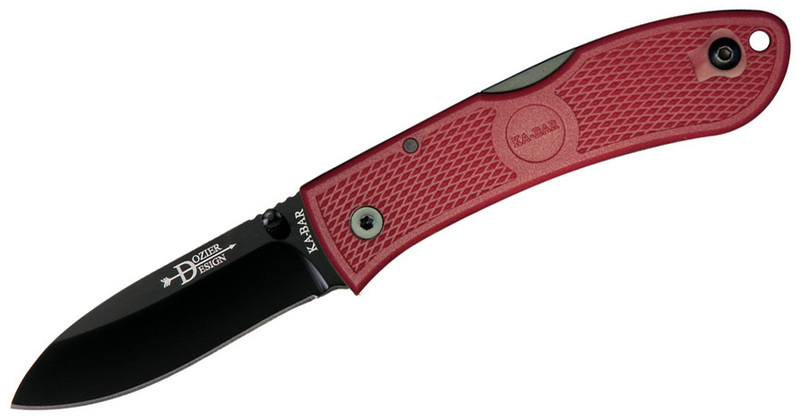 Every year, KA-BAR also makes some additions to the Dozier Folding Hunter line. This time, the knife gets a new color way with a red Zytel handle and black blade. This remains a solid budget folder and the red means there’s yet another option to choose from. Finally, there’s another KA-BAR. How is this different than the others? There’s one small but important change. 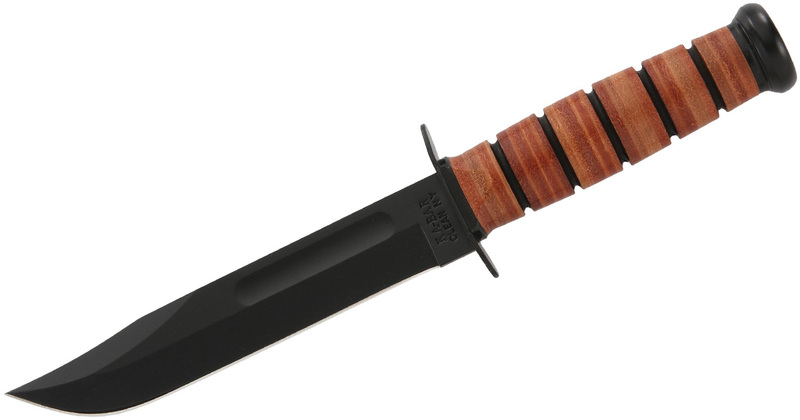 Instead of having a stamp on both sides of the blade, there’s only a stamp on one side that says KA-BAR and Olean, NY. The other side is blank. Many people have expressed hesitancy in carrying a knife branded with USMC or USN or U.S. Army or USA. KA-BAR allows you to get this Single Mark knife that you can even engrave yourself. Not the biggest deal but it’s something.